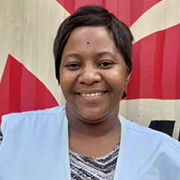 Milscent Moyo, from Zimbabwe, just completed a six-month assignment at Aweil State Hospital, South Sudan, where MSF operates one of the few maternity wards where a woman can safely give birth in former Northern Bahr El Ghazal State. 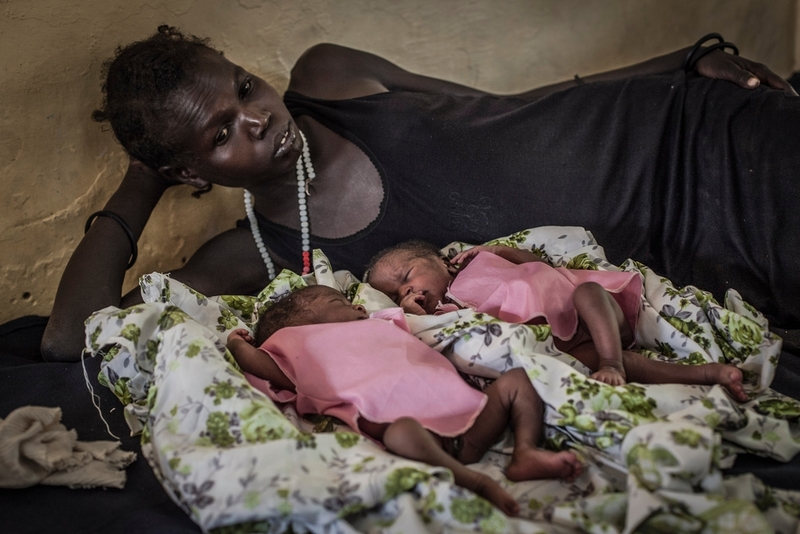 In September, there was a peak in births in the Doctors Without Borders/Médecins Sans Frontières (MSF) maternity ward at Aweil State Hospital, and we were getting an average of 120-plus deliveries per week, with maybe five or six C-sections and two or three vacuum deliveries. There are two midwives and one nurse aide dedicated to delivery room, managing all these patients—sometimes 10 women in labor per 12-hour shift. It's a really challenging situation, and we need to manage those who are imminent deliveries, those who are having obstetric emergencies like increased high blood pressure and those with vaginal bleeding, and when we stabilize them we go back and see that everybody else is taken care of. The most challenging thing for patients is the difficulty of accessing maternal health services. 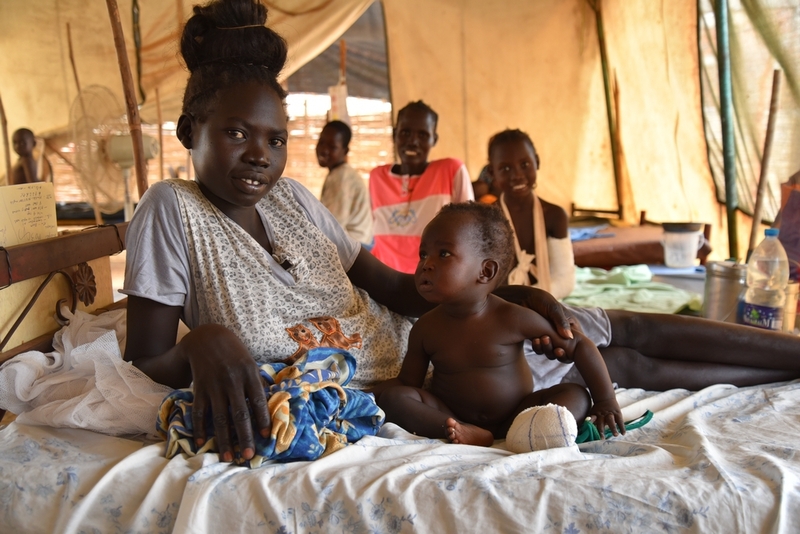 Ours is one of very few medical facilities where a woman can give birth with skilled care in Northern Bahr El Ghazal State. We run one of only two maternity wards in the state that can provide C-sections, and the only one with sufficient staffing and a blood bank. Once the pregnant women are admitted in a timely manner in our facility, they are taken good care of. The mortality rate in our maternity is generally very low. When patients are referred from other facilities, however, they often arrive too late and they may die before we can save them. Without good roads or vehicles, transportation is a major challenge, which means that some patients in need don’t even make it. They may be late in reaching a primary health care center, and that center may only have one ambulance, which is not always functioning. We often see women who arrive with dust up to their knees after walking for two days to reach our hospital. It is even worse during raining season when most of the communities are completely cut off due to flooding. The other issue is malnutrition. Many of our patients are malnourished and yet have this desire to have five-plus children, regardless of their nutritional status. And they don't know what their options are for contraception. What we've done is we've tried to incorporate contraception education in our rounds every single day. Once the doctor reviews the patient we have to make sure that the woman gets information about contraception. Most of them say, "OK, wait for my husband," but when the husband comes and the midwife follows up with them, most of them opt for it. They often prefer injectable contraception which lasts for three months. And then hopefully they can continue the care in their community clinic or a primary health care center, where they get family planning services. Patients at the Aweil Hospital, South Sudan. File image. Another initiative we have is helping midwives learn to use a diagnostic tool called Point of Care Ultrasound, or POCUS. I think it’s a very good initiative, firstly for building the skills of the midwives and also for the clinical care for the patients. Because there are cases when the midwives are able to identify a very complicated condition, which the obstetrician can confirm, and refer a patient to the operating theater. It's a movement in the right direction, since we want to focus more on the complicated cases. At the same time, the biggest need I see is for basic maternal care services at the local level. Some health care centers don't have a trained midwife. But this is where the good management of pregnant women starts, with monitoring of potential problems, and preventive treatments such as iron supplements, malaria prophylaxis, and testing and treatment for HIV and syphilis. If there could be a skilled midwife in every community that our patients come from, it would be so much better. These issues should really be attended to during pregnancy. And if there's a skilled midwife, they would be able to recognize problems during pregnancy and make a referral to our center, so that the woman can be cared for properly.